A garbage disposal lets you scrape dirty dishes straight into the sink without having to worry about food debris clogging up your pipes. While it might seem hard to go wrong with choosing a convenience like this, these devices have their drawbacks, too. Before you splash out on a new garage disposal, make sure you’re willing to put up with the annoyances it might bring you. A garbage disposal is a relatively small investment that can save you time and hassle after every meal. 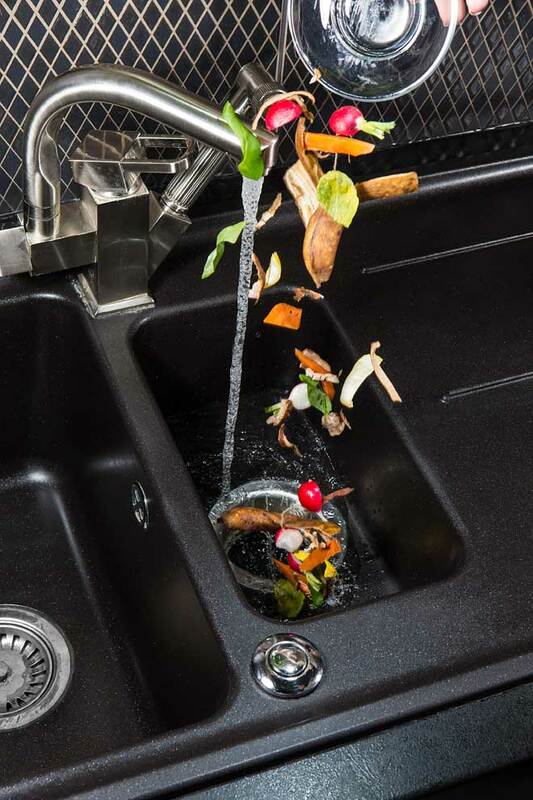 When your sink is equipped with a garbage disposal, you’ll be able to scrape small amounts of uneaten food into the sink instead of having to carry plates to the trash and scrape them there. That makes cleanup after cooking and mealtimes faster and easier. There’s also less risk of dropping crumbs on the floor as you carry plates to and from the trash. When you’ve got a pile of dishes with bits of leftover food stuck on, it can be tempting to just scrape everything into the sink rather than go to the trouble of carrying the plates to the trash can. Over time, though, these food scraps can build up in your pipes and contribute to blockages. 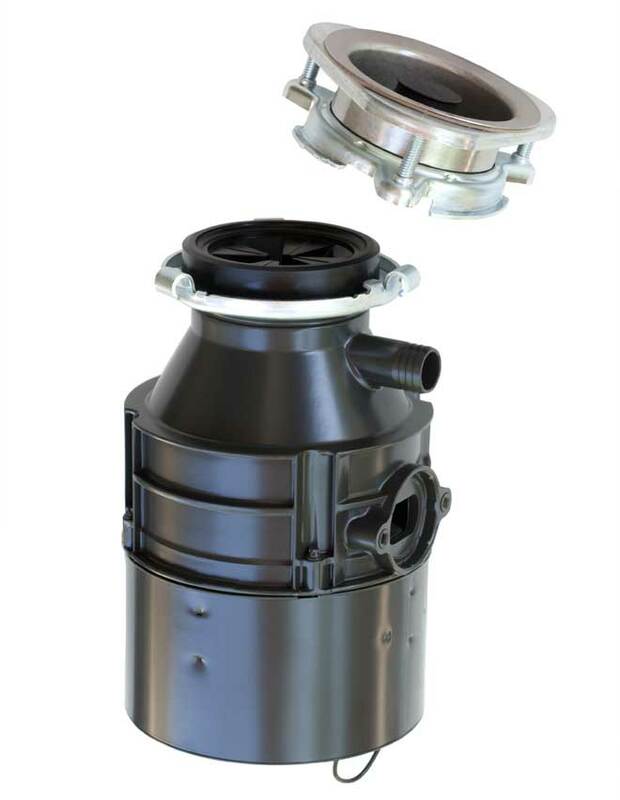 A garbage disposal lets you grind down food debris into small particles that are less likely to get stuck in the pipes. The average garbage disposal will run you between $70 and $130, and if you’re handy with basic plumbing, you can install it yourself. If not, installing one is a routine and relatively low-cost job for an experienced plumber. Use and maintain your garbage disposal correctly, and you’ll get around eight to 10 years of use out of it. Garbage disposals are safe for use with almost every type of sewage system, including municipal sewers and septic tanks. If you have a septic tank, however, make sure it’s correctly sized and regularly maintained. Some very old municipal sewage systems might not handle food particles from garbage disposals well. If you live in an area with a system like this, check with your local waste management or water authority before installing a garbage disposal. Most garbage disposals can handle only light food scraps from a limited range of foods, and they need weekly cleaning to stay in good condition. Fatty foods, such as cooking oil, butter, and cream sauces. Starchy foods, such as pasta, rice, and beans. Fibrous foods, such as banana peels, potato peels, celery, and carrots. Hard materials, such as bones, fruit pits, and seafood shells. This rather long list means you can’t mindlessly scrape all your plates into the sink. Of course, traces of pasta Alfredo from one meal won’t instantly clog up your disposal, but putting in non-disposal-safe foods too often or in large amounts very well could. How you run the disposal matters, too. Always turn on the cold water before starting the disposal, then let it run as the disposal runs. Gradually feed in small amounts of food debris. When you finish, turn off the disposal and let the water run for another 10 to 20 seconds to flush food particles through the disposal and down the pipes. Even when you use the garbage disposal correctly, some food particles can end up lingering inside. These particles then decay and can eventually start to smell. To prevent this, once a week, turn off power to the disposal and clean it. First, wipe down the inner side of the rubber ring around the opening to the drain/disposal. Then use a bottle brush to scrub out the inside of the disposal. Between cleanings, you can freshen your disposal by grinding up ice cubes made of vinegar or a lemon or other citrus fruit cut into small pieces. If you accidentally drop the wrong type of food or too much food into your garbage disposal, it’s liable to jam. It’s a common occurrence everyone who regularly uses a garbage disposal knows. Sometimes just pressing the reset button will get your disposal started again. If this doesn’t work, you can try to dislodge the clog by inserting a hex key (Allen wrench) into the flywheel hole in the bottom of the disposal and jiggling the flywheel. Using a broom handle or needle-nosed pliers to reach the clog from the drain opening can also work. 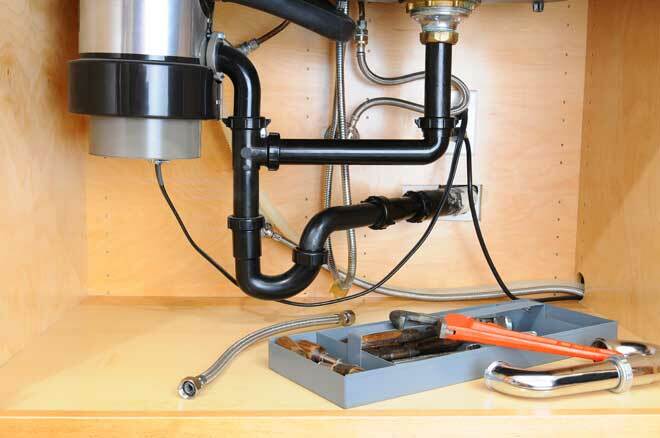 If this sounds like too much trouble, you might want to avoid installing a garbage disposal. Even if you take good care of your disposal, clogs and jams will become more frequent as the appliance ages. Because garbage disposals aren’t easily repaired, if one part of the disposal wears out, you’ll need to replace the whole thing. A garbage disposal is a nice convenience to have if you prefer to spend as little time as possible cleaning up after meals. If you’re willing to use the care needed to avoid throwing in clog-causing foods and you don’t mind cleaning the appliance every week, you’ll probably find a garbage disposal is worth the investment.